Don't become another crime statistic - Learn simple and effective methods to protect yourself and your business from identity theft. Identity theft is an increasingly common crime. The term 'identity theft' refers to criminals obtaining information about you or your customers that can then be used to make purchases or enter into contracts in your name or in your customers' names. Identity theft can result in direct financial loss, damage to credit ratings, difficulty getting loans and credit cards, and months of reorganising financial accounts. 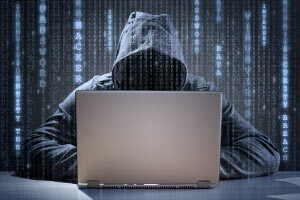 Identity theft isn't only carried out through computers and the Internet, other methods include retrieving unshredded documents from rubbish bins or bags and criminals contacting you directly and pretending to be from a legitimate organisation in order to obtain personal data. Fortunately there are many preventative measures you can take to substantially reduce the chance of your identity being stolen. This course will show you the steps you can take to minimize damage if you become a victim of this crime. This course will give you the tools to protect yourself and your staff by highlighting the issues around identity theft. This course will be of great interest to all learners who would like to protect both themselves and their businesses from the damaging effects of identity theft. You will be more aware of identity theft, how it occurs and the damage it can cause you. You will learn the best methods to protect your computer, and you will learn how to protect financial information on your computer.